The building boom in Homestead continues with yet another developer announcing plans for a new single-family home community. The Miami-based developer, 360 Builders, will be delivering 64 single-family homes to Homestead with prices ranging from $328,900 to $388,900. 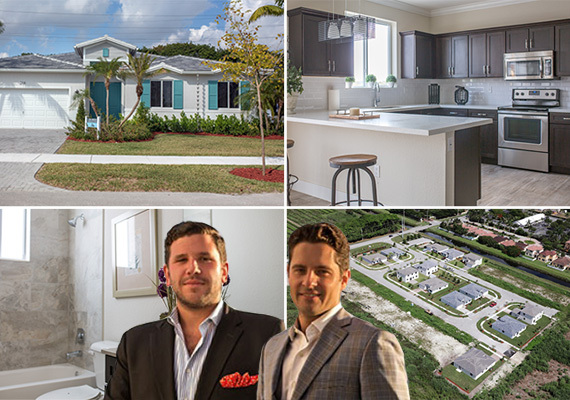 The community, called Tropical Villas at 201 Northeast 18th Avenue, has completed its first phase of development, consisting of 26 homes. The houses range from about 1,901 square feet to 2,280 square feet, according to the community’s website. Each custom home sits on a 7,500-square-foot lot. The price per square foot equates to about $170. BZG International’s Brandon Brugal and Uccio Zecchini are handling sales. The duo took on the listings in 2016, but Zecchini said the market was slow at the time. “When we received the project no one was living here,” Zecchini said, calling the area a “ghost town.” But the rise of development sparked more local interest, he said. As of today 18 homes have sold, with five families already living in the community. Zechinni said he expects to sell out the first phase within the next couple of months. Phase two, which consists of 16 homes, is set to be completed by the end of this year. The entire site spans more than 8 acres. Zecchini said the developers bought the site in 2014, but 360 Builders declined to comment on the price which is not available in records. The developers also plan to buy an adjacent lot and build another 22 homes in the future, Zecchini. The Homestead region has gone through tremendous change over recent years with bigger developers like Lennar Corp. and D.R. Horton acquiring and selling land in the area. Just last month Miami-based Lennar Corp. purchased more than 77 acres of land in Homestead for $10.75 million. That same month, Orlando-based AQRE Property Management paid $8.2 million for 78 units in a Caribbean Isle Villas, a condominium community in Homestead.